How important is SEO to your business? It may surprise you that SEO is not the most important aspect of your digital marketing efforts. While it is an important marketing function, the ROI can take months, if not years, to turn positive. Here at the Vixil Group, we feel that all marketing efforts need to accomplish one task, bring you more business. As a small business owner of both an e-commerce business and a brick and mortar store, I can tell you that SEO had very little impact on our overall success. This will undoubtedly shock many and draw the ire of most SEOs. Here is the truth of the matter is, too much emphasis is placed on optimnizing your website for search. Let us first discuss what SEO is not. Despite what many internet marketing firms will tell you, search engine optimization is not about getting you to the top of search engines for specific keywords related to your business or industry. While good SEO will accomplish this, it should not be the primary focus. Every business should focus on the user experience and informing potential customers with quality content. This focus will bring will bring more value to your customers and grow your business. This is just one of the many things that separates us from the many SEO firms out there. There are only a handful of people who understand how search engine algorithms work, for the rest of us, we have to rely on best practices. What does this mean for you as you research the best SEO firm for your business? Basically, there are no magic bullets, no magic formulas and only little differences in expertise from one firm to another. Like any other profession there are generally accepted practices. Companies that claim to the “the best SEO consultants” are doing similar optimizing (and sometimes less) than their local competitors. If the company you are research claims to have a secret edge, run away. It is not worth playing the cat and mouse game when it comes to SEO. In the industry we call this “black hat” and even “grey hat”. Either way, agencies that claim to have secret formula have deviated from generally accepted practice at the expense of your long-term success. A thorough website audit. This initial report serves as a starting point and identifies on page issues that can be resolved fairly quickly. This report should be made available to the client despite if the internet marketing firm commences work. Evaluating name, address and phone number citation. This is also know as Local SEO and is the single most important form of optimizing for a small and medium business. Keyword and Key phrase research. 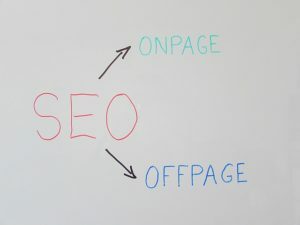 This analysis might be the most important function of any SEO strategy. Evaluating site speed and optimizing accordingly. Site speed is a user experience issue. No one likes a slow site and neither do search engines. An in depth competitive analysis. This is a process of backward engineering sites that rank well for a given keyword(s). It also explores your competitors backlinks and submitting your site to search engine directories. Setting up Google Webmaster tools, analytics and sitemaps. While this list is not comprehensive, it covers the vast majority of the work conducted by most SEO agencies on behalf of their clients. Optimizing your website for better search results can be a very expensive undertaking and cost prohibitive for many small and medium sized businesses. Typically, the larger the firm the more expensive it cost to optimize your website. Many large firms have high overheads and large staffs which require more revenue to cover operating costs. Optimizing your site is very time intensive and can take months to achieve the desired results. It is not uncommon for firms to charge in excess of over $1,000 per month to rank sites for a few keywords. At the Vixil Group we have two option that help meet the needs of small and medium sized businesses. Our first option is an hourly consulting rate where we advise our clients and provide them with a do-it-yourself plan. 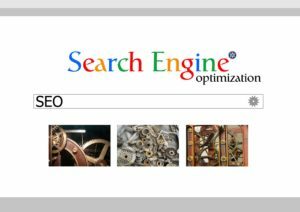 This option works for many clients who have the bandwith or the staff to execute basic search engine optimization tasks. The other option is more traditional where we partner with you and implement long-term strategy. Typically our fees less than half that of established SEO agencies. Our primary focus is to grow your business, increase your customer base and provide a positive ROI. In many cases, paying for expensive SEO services are not in the best interest of the client. Like many other firms we can get your business on the first page of Google, but that does not guarantee you will acquire more customers. Spending advertising and marketing dollars on search engine optimization doesn’t make sense and in some cases it is a great option. We can help you determine what is the best course of action by filling out the below form and requesting a free consultation. If you feel we align with your organization’s goals then we would love to help your business achieve real, tangible success.